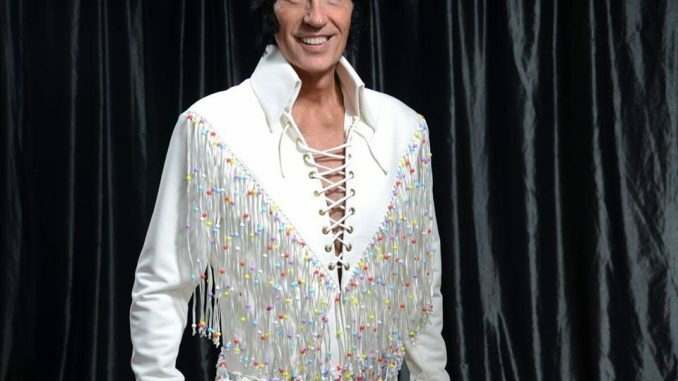 OSWEGO – Michael Paul Callahan as “Elvis” is offering an opportunity for a choir, chorus group or youth chorus to join him from 3:30 – 4:30 p.m. downtown, Saturday December 1 on the city stage. Christmas songs will be highlighted for this performance. Additionally a special custom “Elvis” scarf will be awarded to the most enthusiastic audience member. To be considered as a choir or chorus call (315) 312-0701. 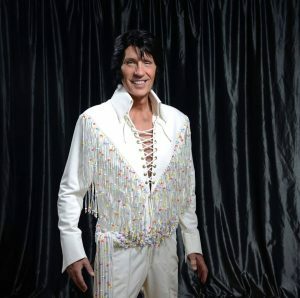 Callahan, a Hollywood movie actor, after just two year’s is one of the top ranked Elvis Tribute Artists in the northeast, in custom Elvis costumes, many made by Elvis’ actual costume designer. The Elvis years 1960s – 1974 are highlighted by Michael. As a black belt he is able to truly reflect Elvis onstage, including voice, appearance, humor, guitar and karate. He is also the owner of A Time for Legends, with many Legends like Elton John, Rod Stewart, Reba M, Roy Orbison and more.